According to Gartner, by 2018, 90% of organizations will implement at least one form of integrated DLP, up from 50% today. Figuring out what your organization needs out of a DLP solution, however, can be a daunting task. 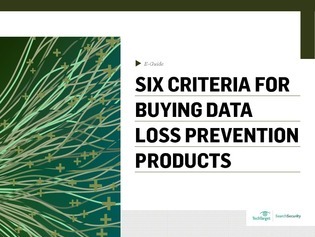 In this e-guide find 6 steps your organization can take when thinking about what data loss prevention means to your security posture and what to look for to shore up your own defenses.